Across the road from fabulous Coopers Beach. 150 metres to beach reserve and playground with easy access to 2km of golden sands. 300 metres to shops and restaurant. 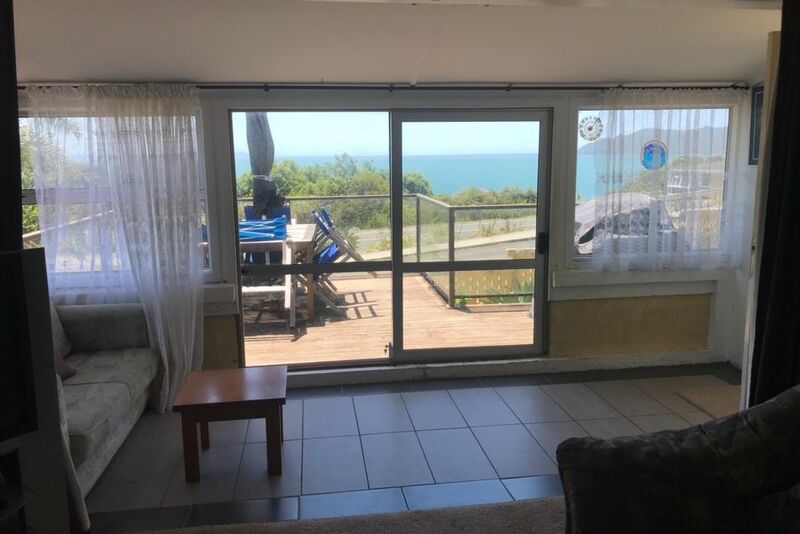 Large deck with all outdoor furniture and barbeque to take in great views of the beach and 180 degree views of Doubtless Bay. Our holiday home has a fully equipped kitchen with dishwasher, fridge/freezer, microwave and full stove. Lounge/dinning area has TV with freeview, DVD, radio/stereo system, gas fire and air conditioning unit. Fully equipped to make for a fun holiday with 2 Kayaks, fishing gear, bicycles, boogie boards and golf clubs free for you to use. An ideal location to explore the Far North, visit the famous Mangonui Fish Shop and wander around this historic area and enjoy the lovely Restraurants on the Mangonui. Relax and listen to the sound of the waves on the beach. Great place to stay, beach close, plenty of things to use at bach, bikes, kayaks, boogie boards. House well equipped, bedrooms great 2 bathrooms a definite plus, would come back. A great kiwi Bach for the family to enjoy, well equipped for a summer holiday. Warren a fantastic host. Great views of the bay. Walking distance to beach and good place to explore the Far North from. Bach had everything we needed to enjoy our week. Beautiful sea views from the deck, close to shops and the beach. House had everything we could possibly need. Thoroughly enjoyed our stay, thanks for having us. Amazing views and lovely home, worth every single cent. Will be booking again. We tend to book a Bach everywhere we visit in New Zealand. This Bach tops everything so far. There were two kayaks for us to enjoy in the sea and the owner provided us with life jackets and fishing rods and boards for a great time at beach. The beach is 3 minutes walk and we could see kids from the home playing at the beach. The home is at an elevation to give great view of the horizon. Big back yard for kids to play in hot times and front deck with awning to keep shade and enjoy outdoor barbecue. Topping it all with a very responsive owner. Warren was very responsive to any guidance we sought during the stay. We appreciated his efforts the most. This location is 2 hours drive to giant sand dunes and 1 hour from bay of islands. Two perfect desitantions for short visits. For those who want to enjoy the beach and tan in sun no better location at this rate in the whole area when you are visiting with more than 2 Kids. Our kids were living in the bedroom in the basement and by the time it’s adults time in the evening kids are out of ear shot and allowing parents the quite time or party time as we please. Highly recommended to leave for at the least 5 days. They were not enough for us and we will be returning back at the first opportunity.